Holidays to Argentina up to -70% off To take advantage of these offers, join now for free! Enjoy luxury holidays to Argentina with Voyage Prive and embrace the many diverse natural landscapes and passionate Latin flare of the Argentine. 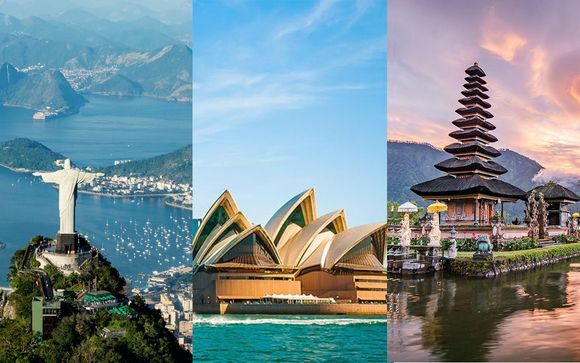 Argentina is the eighth largest country in the world and offers a fascinating spectrum of natural habitats, from subtropical rainforests to magnificent glacial structures, Argentina is a hub of biodiversity. One of the most developed countries in Latin America, Argentina's richness appears in the opulence of Buenos Aires and the country's fantastic infrastructure. Reserve your luxury holiday to Argentina today and get ready for cultural gems and magical moments. With 275 waterfalls spanning over 3km of subtropical rain forest, Iguazu Falls is the largest system of waterfalls in the world and is definitely a must see during your holiday to Argentina. Legend has it that the waterfalls were created by a revengeful god who, enraged when his fiancé ran away with her lover via canoe, slashed up the river creating the Iguazu waterfalls. 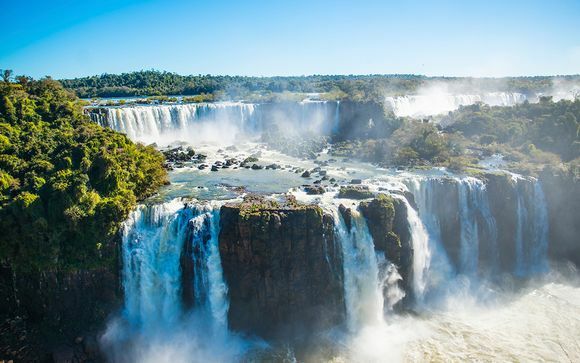 A romantic spot where you can experience the immensity of the world with your loved-ones, Iguazu Falls truly embodies Argentina's extreme passionate side. Buenos Aires, literally meaning 'good airs', has always been considered the Paris of Latin America. It's fabulous colonial architecture and wide open avenues gives it a particularly European feeling, however this is infused with a hotter Latin flavour that can be seen in all parts of the city. Visit the incredible El Ateneo Grand Splendid bookshop, an immense quasi theatre/bookstore voted the second best bookshop in the world, to experience the full grandeur of this prosperous city. 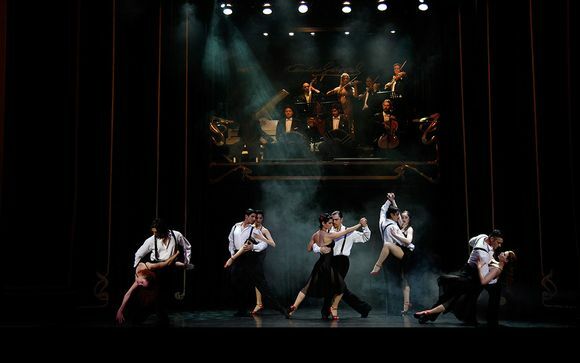 The Tango is one of Argentina's greatest exports and was born in the bars of working class Buenos Aires. The first dance to encourage improvisation, this incredibly passionate dance took Europe and the world by storm in the early 20th century and it is still a popular pastime of Buenos Aires' nightlife. Make sure you tango the night away in Buenos Aires' many night-clubs and cantinas. During your holiday to Argentina. From Buenos Aires travel southwards to Argentinean Patagonia. Roughly one and a half times the size of the UK, Patagonia offers an incredible range of natural treasures. One highlight is the Los Glaciares national park, the famous glaciar named Perito Moreno rises from a nearby lake and reacts with the warmer water underneath its ice, dramatically sending out huge waves across the water, in frequent bursts. Fabulous parrillas (grills) and gorgeous ceviches (seafood dishes) are on offer in this wilderness and nearby Patagonian Chile is easily accessible. Book luxury holidays to Argentina and experience a whirlwind of nature and beauty.